Is a variety of wine grape that has long been grown in the Rueda region of Spain. 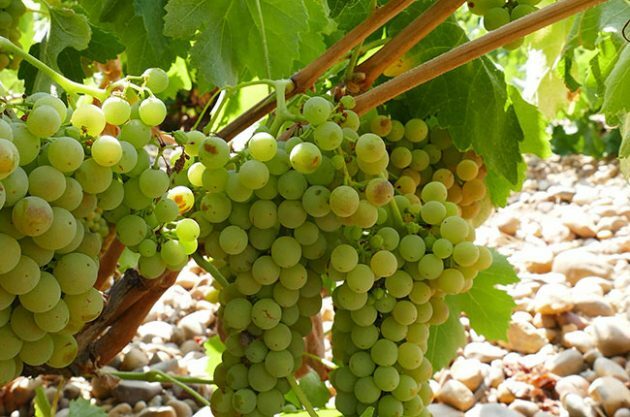 The grape originated in North Africa, and was spread to Rueda in about the 11th Century, possibly by Mozarabs. Verdejo was generally used to make a strongly oxidized, Sherry-like wine. The Verdejo grapes are generally harvested at night. This means that the grapes enter the cellar at the lower night-time temperature of 10–15 °C (50–59 °F) instead of the daytime temperature, which can be as high as 28–30 °C (82–86 °F) in September. Lower temperatures means less oxidation, or browning of the juice. Verdejo wines are aromatic, often soft, and full-bodied.